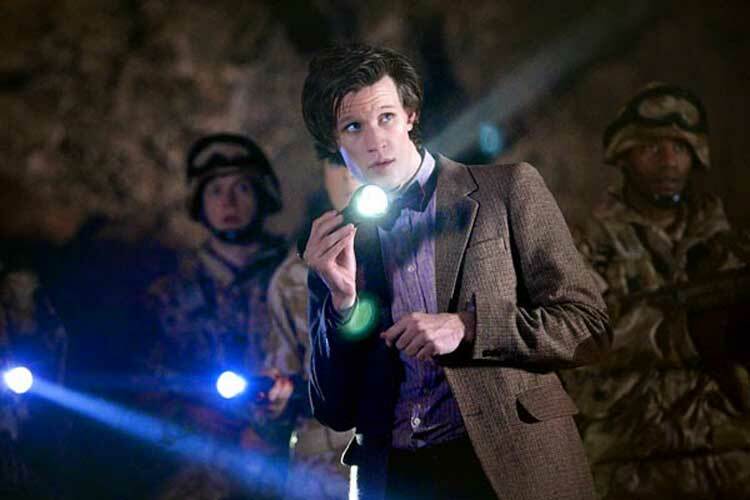 The TV medium is the ideal place for time travel stories because it throws familiar characters into strange territory. While movies need to introduce both the characters and a complex set-up, these ongoing series allow us to jump right into the new environment. Of course, there are shows that make traveling through time the main premise, with varying results. Examples include Sliders, Journeyman, and two classic shows that could easily provide multiple episodes for this list. To avoid having to pick specific episodes, I placed them as honorable mentions. Let's roll to the next section to hear more! Both Doctor Who and Quantum Leap have plenty of episodes that could compete for the top time travel episodes in existence. The former's "Blink" and "Girl in the Fireplace" are two great examples, but I decided to bypass it because I could populate the entire list from this show. I've only seen the reboot and have quickly become a big fan of the Doctor, Rose, Donna, and current companions like Amy and Rory. It's been a while since I've seen Quantum Leap, but it was a must-see during its original run. Some of my favorites had Scott Bakula's Sam leaping into Lee Harvey Oswald, a Vietnam soldier in his brother's troop, and even a monkey. I wonder how it would hold up today, but it had plenty of heart, bolstered by the strong relationship between Sam and Al (Dean Stockwell). I just caught up with the remarkable Farscape last year when I watched the entire series over a few months for a PopMatters article. 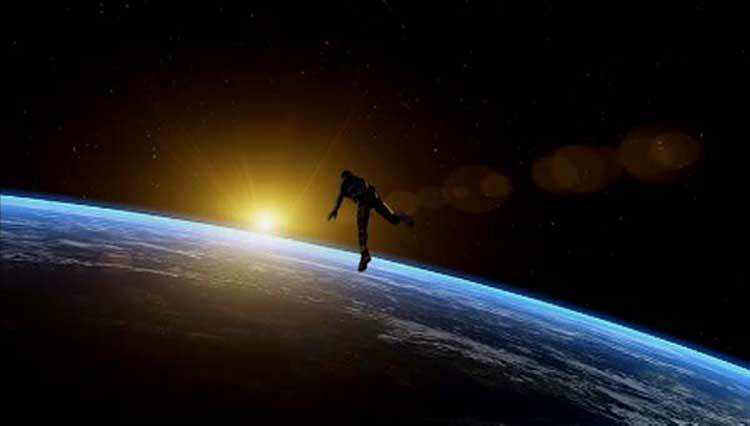 One of the best episodes from the fourth season was "Kansas", which finally sent John Crichton (Ben Browder) back to Earth. The catch was the time period for his arrival. The entire Moya crew joins him 1985, where they interact with a young Crichton and his family. Predictably, they mess with the timeline, and the results could be disastrous. There are so many great things to discuss about this episode, so check out yesterday's post to learn more. 4. Star Trek, "City on the Edge of Forever"
I was late to the party on this gripping episode of Star Trek's original series. I caught up with it while reviewing the Fan Collective set on time travel. It's easily one of the strongest episodes from that show because it provides an emotional connection along with the sci-fi premise. This story has Kirk and Spock traveling back to the time of the Great Depression to retrieve a deranged McCoy. They meet social worker Edith Keeler (Joan Collins), and Kirk is quickly smitten. The problem is that her ultimate fate may be involved with their primary mission. Along with the well-done drama, this episode also includes some great over-the-top acting from Deforest Kelley as McCoy. This wonderfully filmed episode from The X-Files' sixth season has Mulder investigating the strange appearance of a luxury liner in the Bermuda Triangle. After encountering a brutal storm, he boards the ship but quickly discovers that time has shifted. Even stranger is the presence of familiar faces like Scully and the Smoking Man as different people. Along with the interesting subject matter, this episode shines because of the very long takes. 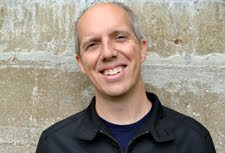 Although Chris Carter used some Hitchcock-like tricks to make a few cuts, he does present masterfully crafted sequences. Duchovny, Anderson, and the entire cast bring their best work to this excellent story. 2. Stargate SG-1, "Window of Opportunity"
The best from a group of time-travel episodes on SG-1, this fourth season tale shows Jack (Richard Dean Anderson) and Teal'c (Christopher Judge) trapped in a time loop where they live the same day repeatedly, Groundhog Day-style. It's not the most unique concept, but it's great entertainment, especially when they give up and start having fun. 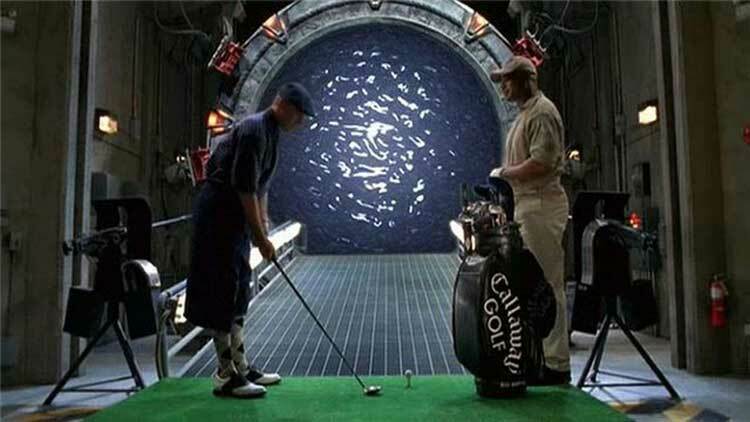 Jack hits a golf ball through the Stargate and even resigns and makes out with Sam (Amanda Tapping). Teal'c starts each day getting hit in the face with a door, but he also turns it around on the guy eventually. What raises "Window of Opportunity" above just mindless fun is the emotional finale, where Jack recalls his son's accidental death while dealing with their situation's culprit. Anderson sheds the tongue-in-cheek manner and sells the tragic loss that still haunts Jack years later. During its six seasons, Lost produced its share of fine episodes, but none reached the grand heights of "The Constant" during the fourth season. 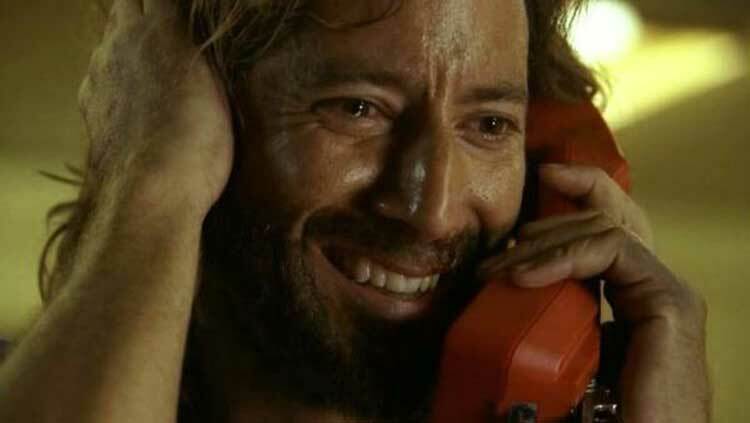 While riding the helicopter to the freighter, Desmond (Henry Ian Cusick) becomes unstuck in time. His consciousness keeps hopping between 2004 and 1996, but his memories relate to the earlier version. Along with the great premise, this episode succeeds because of the wonderful connection between Desmond and his love Penny (Sonya Walger). Their final conversation is one of the series' best moments, which is saying a lot. The time travel serves the emotions and doesn't overwhelm it, which makes for a stunning experience. Thanks Kate! Glad to hear of another Window of Opportunity fan. For Lost, I think you're right that most viewers cared a lot more about Desmond/Penny instead of Jack/Kate in particular and a few other relationships. Walger and Cusick play it so well, and this episode's final scene is a big part of it. man that x-files episode it awesome. it came right at that point where they were having so much fun with the incredible characters that they'd created. almost every week was another superb episode. i always love the silly star trek goes back to 20th century episodes no matter which incarnation of the franchise is doing it. i can't help myself. Toby, I definitely agree about that X-Files episode. By Season Six, they were trying a lot of different things after so many monster and conspiracy episodes. This was one of the best. 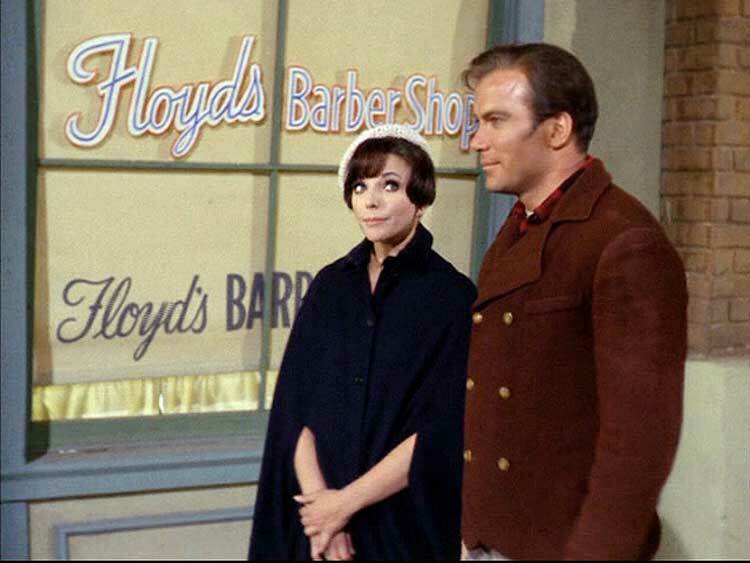 There were a lot of good Star Trek time travel options. They mined this territory with the great Star Trek IV too.